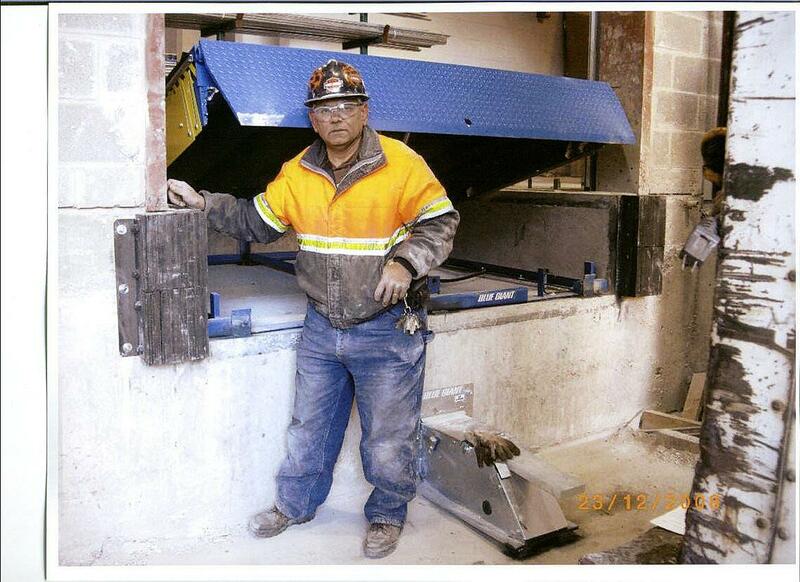 Our services crews have been repairing dock plates for over 35 years. 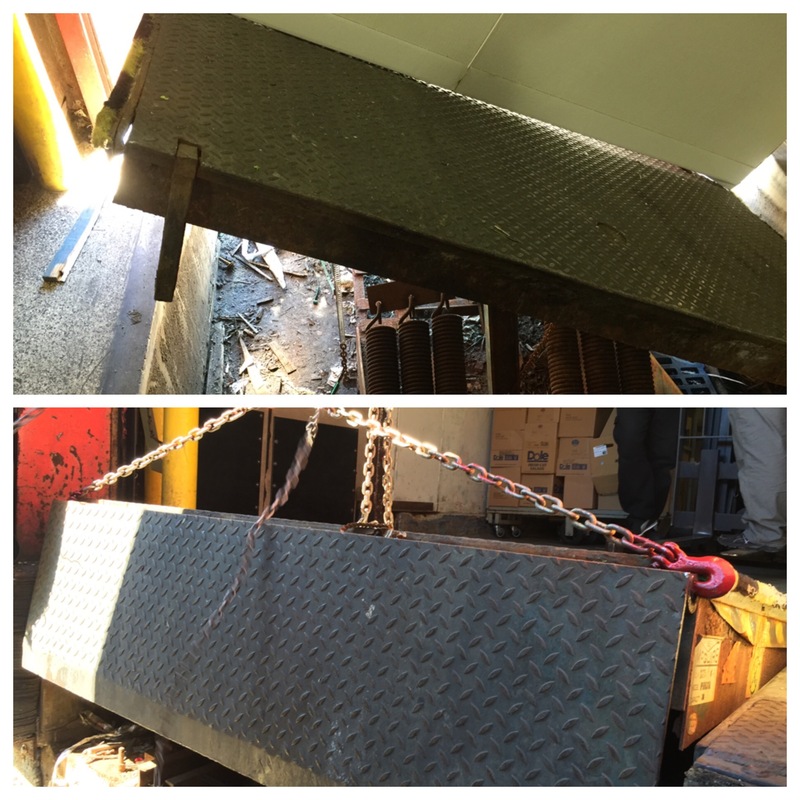 Our team can do dock plate spring & hinge adjustments, replacments of rachet assemblies, re-welding of dock plate legs. Our team understands the complexities of different dock manufactures like Kelley, Serco, Pentalift, McGuire, PowerAmp and more. Our warehouse is stocked with the most common dook plate replacement parts like chains, hooks, wheels, rollers, pins, legs, pumps, air bags, pull bar, bottom plates, bridge plates, dock ramp plates, brush seals, sweepers, lips, locks and more. We are ready to handle even the most complicated door dock repair. 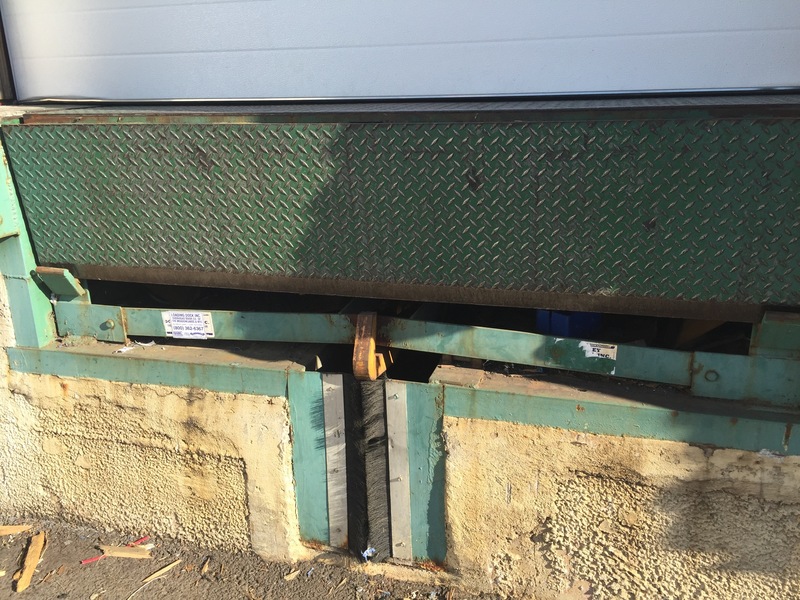 Dock plate bumpers can reduce impact to your building. 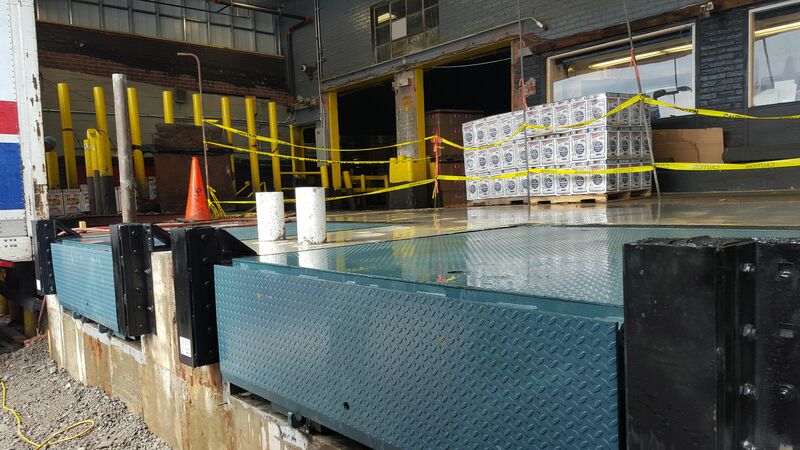 If you call a qualified and experienced dock plate repair company in NJ and NYC like us, you will be sure to get a professional opinion. Perhaps cold air is seeping in through your dock plate. We can install dock brushes, weather seals, weather stripping around your dock lift plates. You will see that the cold air infiltration will reduce significantly. 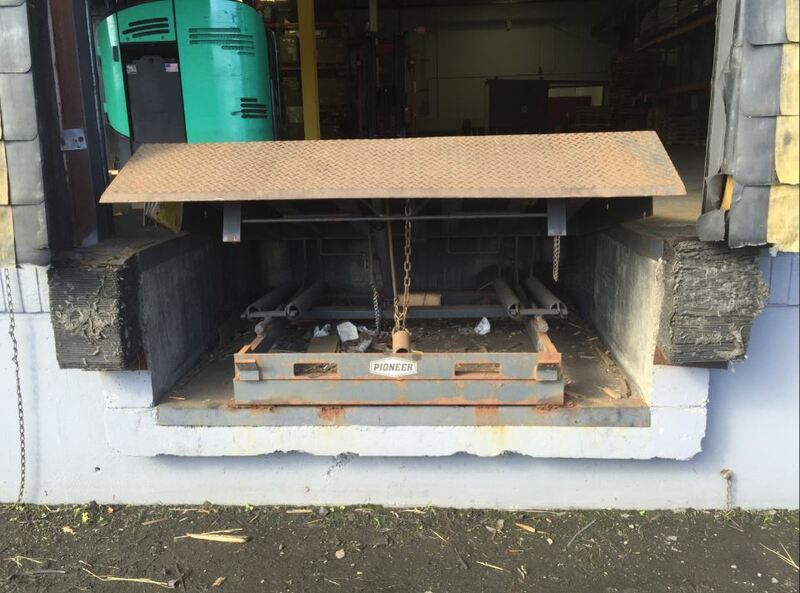 Sometimes dock plates are rusted out and don't have a dock leveler extension. 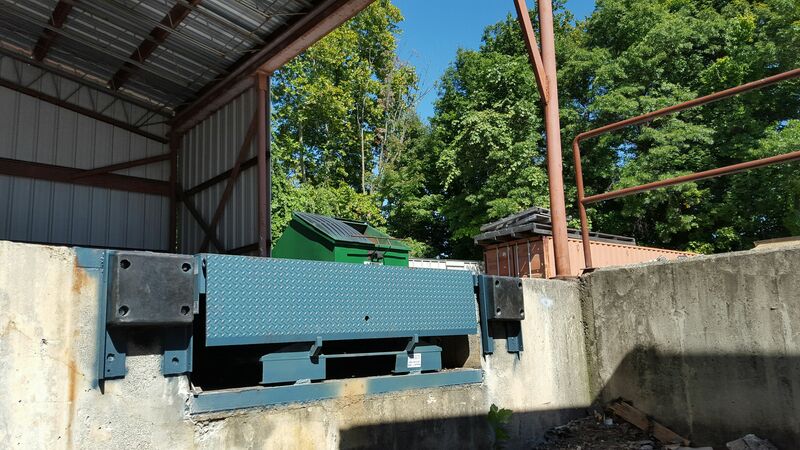 Perhaps your loading dock equipment is worn out and may need a full replacement. 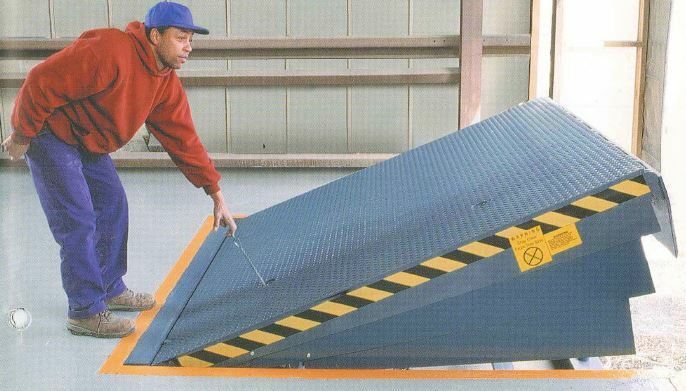 Consider our electric hydraulic motorized pump dock leveler plate system.